friends in mid-Havana that evening. centre of the city, with terrifying howling winds. Demolished or damaged homes were the major grief it brought. damaged houses in four Havana municipalities. The damage to Havana was on the minds of all of us. in doing so, history and the idea of justice. Republic of Venezuela on its sending aid to Cuba ahead of us. Let us strive to catch up. on the memo line: "Tornado Relief". please include in the message box "Tornado Relief"
for example, which country the donations are going to help. Copyright 2019 canadiannetworkoncuba.ca. All Rights Reserved. Tom Power, a generous and active supporter of various free the Cuban Five campaigns, in Toronto and in the U.S., passed away April, 2018, but we know he would be delighted to see his framed photos/pictures of Cuba and its revolution used in support of raising funds for Cuba. His photos of Fidel, Che, Camilo and other leaders of the revolution are a historical treasure trove as well as books about Cuba that we would like to make available to persons who might be interested in them. on Saturday, January 5, 2019. For details about the event event on January 5th see the CCFA Toronto Calendar. In addition, also available to take home with you will be cartoons done by one of the Cuban Five, Gerardo Hernandez Nordelo, mounted by Mike Constable, and which were part of an art exhibit in the Rotunda of Toronto’s City Hall during the first International Festival of Poetry of Resistance. There will also be CDs, 45’s, etc. all with content related to Cuba. More than ever, we must unite in solidarity with the Cuban revolution. One hundred per cent of the money raised will be passed on to a seniors’ home that Tom and Heide visited while in Holguin and to a hospital in Havana, both contributions will be made with the help of the good offices of the Cuban Institute of Friendship with the Peoples (ICAP). Donations in general would also be happily accepted so please bring your cash and/or your chequebooks with you as your interest in these items is sure to be piqued. All the money goes to Cuba and we are happy to make these items available for the celebrants of this momentous anniversary of the Cuban revolution! We look forward to seeing you there! To help in the recuperative effort, Canadians from all parts of the country sent in to the fund established by the Canadian Network on Cuba (CNC) a total of $89,542,00. The main fundraising drive against Irma has now ended, but the deficit faced by Cuba because of the damage caused by Irma and previous hurricanes is great, so Sharon remains available to provide her generous and efficient work of receiving, acknowledging and sending on to Cuba any further donations (Sharon Skup, 56 Riverwood Terrace, Bolton, ON L5E 2S4, Canada). Every penny of the $89,542.00 went to Cuba, to a fund set up by the Cuban Ministry of State, specifically to receive contributions destined to help Cuba recover from the damage caused by Irma. All incidental expenses such as banking and transfer fees, postal costs, thank you cards/receipts sent to donors,etc., were paid by the CNC. While, we are confident that the Cuban people will overcome any challenges posed by Hurricane Irma, Cuba will, nevertheless, have to expend considerable resources, both immediate and long term, in order to overcome the havoc wreaked by Hurricane Irma. To assist Cuba in its immense efforts of recovery and reconstruction, the Canadian Network On Cuba (CNC) is launching the Hurricane Irma Relief & Reconstruction for Cuba Campaign. Donations to the Hurricane Irma Relief & Reconstruction for Cuba Campaign can be made by mailing cheques made out to the Canadian Network On Cuba to: CNC Hurricane Relief, 56 Riverwood Terrace Bolton, ON L7E 1S4. Please write "CNC Hurricane Irma Relief Fund" on your cheque's memo line. All donations will be forwarded 100% directly to Cuba. In recent years, the CNC has had a series of successful Hurricane Relief Campaigns. The most recent was in 2016 when Hurricane Matthew struck eastern Cuba, devastating Baracoa, Cuba’s oldest city. In 2008, the CNC’s most extensive campaign was launched when a series of hurricanes caused damage in excess of $10-billion. The CNC not only raised hundreds of thousands of dollars, but also directly participated in the construction of a new social and cultural centre on La Isla de La Juventud (Isle of Youth). In 2017, as Cuba faces this latest challenge, we are confident that Canadians - as they have repeatedly done - will once again demonstrate their friendship and solidarity with Cuba by supporting the island as it recovers from the ravages of Hurricane Irma. Our experience with regard to Cuba's response to natural disasters is that it knows how to multiply the value of any donations it receives. We feel confident, based on the island's unsurpassed humanitarian work - both within Cuba and in other countries - that it has the skills, the organization and the ethical and moral values to put whatever assistance it receives to the best possible use. Even at this difficult time, in the midst of Hurricane Irma’s havoc, Cuba’s deep internationalist spirit has once again been profoundly demonstrated by the sending of more than 750 Cuban health workers to Antigua & Barbuda, Dominica, Haiti, Saint Kitts & Nevis, Saint Lucia, and the Bahamas. As in past campaigns, we hope that solidarity organizations and individuals will generously support Cuba in its efforts to rebuild after this devastating hurricane. Send Donations to: CNC Hurricane Relief, 56 Riverwood Terrace Bolton, ON L7E 1S4. Please make cheques out to the Canadian Network On Cuba and write "CNC Hurricane Irma Relief Fund" on your cheque's memo line. Since the CCFA believes in building friendship through understanding and co-operation, the Association works with other groups/organizations in Ontario and across Canada and also in Cuba, on various projects and provides information on Cuba and responds to the media. Special projects are also organized to promote various forms of material aid, provision of medical journals, textbooks, etc. Charitable tax receipts can be given for donations used for medical / educational supplies. 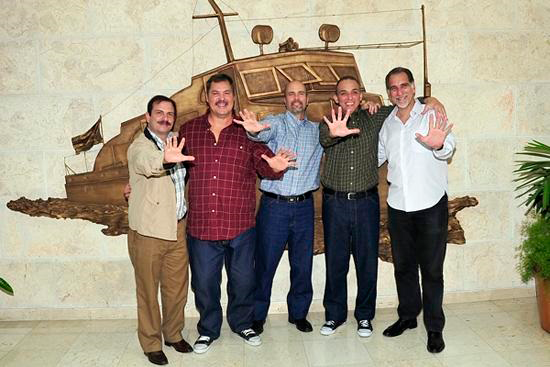 Over the years, the CCFA has brought to Canada some of the finest Cuban musicians, writers and films. Each year Canadians share in the cultural richness of Cuba through the Association's celebrations of important Cuban holidays: Jose Marti's birthdate - January 28th; Cuba's National Day - July 26th; and other occasions that the membership may wish to recognize such as the annual Toronto-Cuba Friendship Day at Nathan Phillips Square, GTA - Toronto City Hall in August.